1. Remove eggs from the package. Next, beat eggs in a medium-sized bowl, until light and lemon- colored. 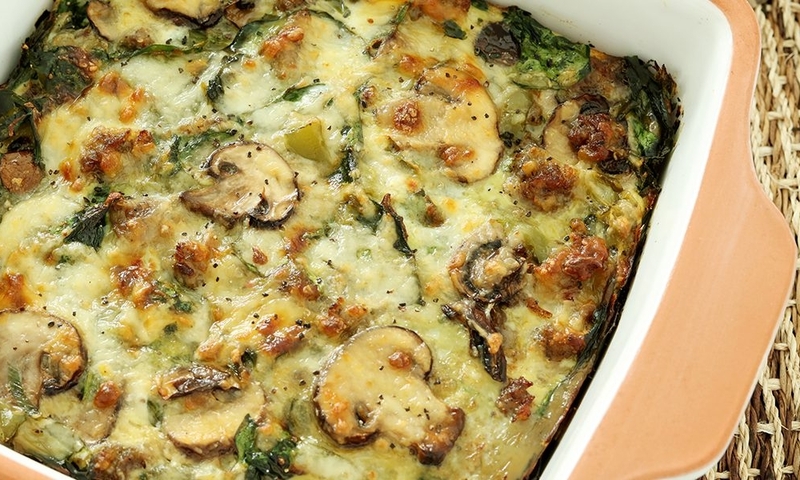 Add in baking powder, flour, milk, black pepper, salt, cheeses, onions, mushrooms, and spinach. Beat until mixture is smooth. 2. Next, pour melted butter into a 9x13 inch-baking dish. Next, pour egg mixture into a 9x13 inch-baking dish. Bake at 350 for 35 minutes or until browned on top and firm in the center.